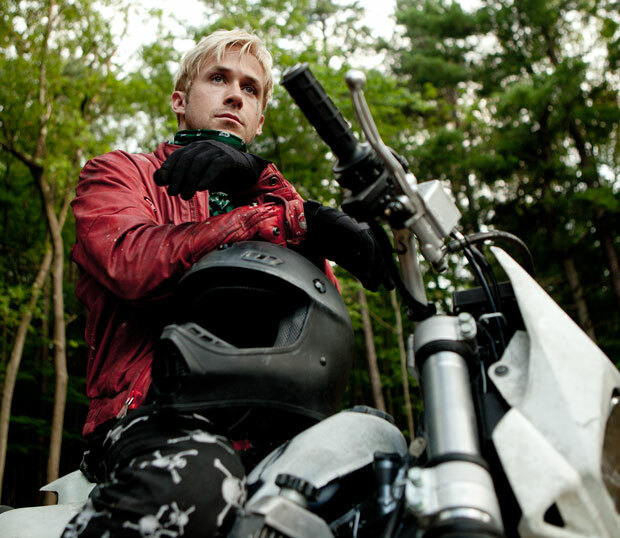 According to director Derek Cianfrance, The Place Beyond the Pines was born when his Blue Valentine star Ryan Gosling explained to him a fantasy he had of robbing a bank on a motorcycle. Echoing just how in tune with one another the actor/director really are, Cianfrance told Gosling that’s exactly what was going to happen in his next movie. Now, the product of Gosling’s and Cianfrane’s divine creative connection arrives at Toronto Film Festival and from the very first shot exudes confidence that could only emerge from two heartfelt collaborators. Close-knit actor/director relationships aren’t uncommon, but the Gosling’s museship with Cianfrane feels especially classic. Place Beyond the Pines harkens back to the days when visionary directors weren’t constricted to 80-minute indies to have complete creative control over their projects. Their freedom sprouted films like Taxi Driver, Chinatown, Clockwork Orange and The Godfather, stories without obvious audiences, and with slow pacing and violent anti-heroes. Place Beyond the Pines feels born out of that same freedom: spanning multiple generations and following various characters, the film is a sprawling examination of crime’s ripple effect. A little more off beat than Battleship. In the film, Gosling plays Luke, a stunt motorcycle driver who bows out of the carnival life after discovering that he has a son living in upstate New York. He immediately reenters the life of Romina (Eva Mendes), with whom he had a one night stand a year prior. The fact that he’s thrown a wrench into the stable home she’s built with her new boyfriend isn’t really part of this thinking. He wants to take care of his boy, and to bring in some fast cash, he takes up bank robbery with a down-on-his-luck mechanic (Ben Mendelsohn). Like Blue Valentine, and many of the ’70s-era films that Pines feels spirtually connected to, Cianfrance’s aesthetic choices on Place Beyond the Pines are gritty and raw. Luke blazes through the forests of Schenectady, New York, or the dilapidated suburbs that surround it, and every shot — whether it’s a too-close-for-comfort close up or a picturesque landscape — is carefully selected to elicit the most unnerving feeling possible. It’s a cold film, similar to the outsider perspective that makes the Godfather films so chilling, and Cianfrance takes his time to let Gosling effectively spiral out of control. Simply following Gosling’s character would be enough of an Earthly journey into hell for one film, but Cianfrance takes things a step forward and reaches for the grandiose of a operatic triptych. The Place Beyond the Pines segues into a second story and eventually a third, each informed by the characters who took the spotlight in the previous section. Bradley Cooper plays Avery Cross, a policeman who becomes tied to Luke’s life. Rising star Dane DeHaan picks up in the third segment as a teenager with history connected to both men. Digging deeper into the two lead actors’ roles would only take away the surprising momentum of The Place Beyond the Pines, which clocks in at 140 minutes. Cianfrance never misses a beat, perhaps because he’s been mulling over the story for years — and apparently, so has his muse. The Place Beyond the Pines has been picked up for distribution by Focus Features but has yet to secure a release date.